Britons embrace new technology more rapidly than other nations | What Hi-Fi? The industry regulator says the UK tops many of the categories it looked at, including the percentage of broadband users, adoption of new TV technologies, use of social networking, smartphone and mobile internet take-up and use of laptops. 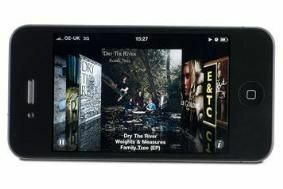 Britain is seeing the fastest rise in consumers likely to subscribe to high-end handsets such as the iPhone. And Britons made more than double the number of online purchases in the past six months (14 per person) than people in all other major European countries except Poland. The value of online purchases was highest in the UK at £1031 on average per person. "Among the surprises were the extent to which UK users are embracing the mobile internet in such a big way," said James Thickett, Ofcom's director of market research. "The UK saw a huge take-up of smartphones between January 2009 and January 2010. We also tend to use laptops rather than desktops. It's being driven by younger people in the 18 to 24 age range."